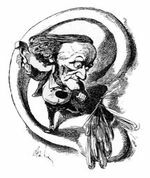 This music which is in perpetual evolution is probably the most highly personal musical invention of Wagner - it places the emphasis for the first time on uncertainty, on indetermination. It represents a rejection of immutability, an aversion to definiteness in musical phrases as long as they have not exhausted their potential for evolution and renewal. characteristic chords, such as the added sixth chord associated with Parsifal. number of commentators on the work have observed that it is entirely made out of a small number of closely-related motives. They are related either by common elements (e.g. complexes sharing basic motives and characteristic intervals), or by their common origin in one or more thematic elements heard earlier in the work. Even the monody that opens the work, which I have referred to elsewhere as the Grundthema, is itself a complex which is, at the higher level of structure, composed of three short motives that will later develop their distinct associations, and at the lower level made up of a broken chord (that of Parsifal) followed by a number of tiny melodic cells that will be combined and developed later. Several of the extended themes (e.g. Prophecy) are revealed fragment by fragment until, at the appropriate moment, they are heard complete and connected to the dramatic action. Where there is contrast, it is mainly provided by the development of chromatic variants of diatonic originals, or by changes of rhythm. our of the principal characters each has his or her own motive, although Gurnemanz, as a neutral narrator, does not seem to have one of his own. These Leitmotive, together with those associated with objects, events and abstractions, blend into one another according to the relationships between the characters. This is deliberate; in this music Wagner was concerned with mediation. Whereas in earlier works he had used strong contrasts, he was now concerned with shadings, as of grey between the poles of black and white. I recognise now that the characteristic fabric of my music (always of course in the closest association with the poetic design), which my friends regard as so new and significant, owes its construction above all to the extreme sensitivity which guides me in the direction of mediating and providing an intimate bond between all the different moments of transition that separate the extremes of mood. I should now like to call my most delicate and profound art the art of transition, for the whole fabric of my art is made up of such transitions: all that is abrupt and sudden is now repugnant to me; it is often unavoidable and necessary, but even then it may not occur unless the mood has been clearly prepared in advance, so that the suddenness of the transition appears to come as a matter of course. agner referred to and exploited the operatic tradition by making use of traditional operatic forms. It is possible to identify accompanied recitative, arioso, ensembles and even strophic passages in Parsifal. The traditional forms, however, are scarcely recognisable, since Wagner transcended their limitations. 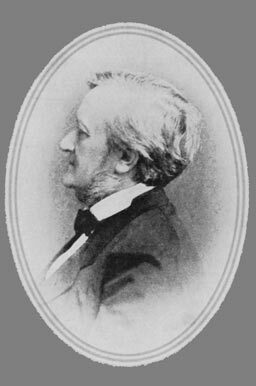 he German musicologist Alfred Lorenz analysed the forms of Wagner's works in his Das Geheimnis der Form bei Richard Wagner. In the later works, Lorenz found (or believed he had found) many examples of bar form (Stollen; Stollen; Abgesang), as it is described by David in the first act of Die Meistersinger von Nürnberg, both on the small scale and on a large scale. In Tristan and Parsifal, as Lorenz showed, there is a similarity of structure — both musical and dramatic — between the outer acts. orenz has been heavily criticized for his obsessive reduction of Wagner's scores to a hierarchy of simple forms, mainly the arch (ABA) and the bar (AAB). Although it is undeniable that Wagner used arch form (for example, as the overall structure of both Tristan and Parsifal), except in Die Meistersinger where it is to be expected, true bars (AAB) are rarely found in the other late operas. Lorenz's identification of bar form is not always convincing and in particular, the analysis of the entire second act of Parsifal as a bar seems forced. According to Lorenz, the second act of Parsifal is constructed of nineteen musico-poetic periods, each of which has its own tonality. In terms of bar form (AAB), on the architectural scale, the first Stollen (periods 1 to 7) ends with the disappearance of Klingsor; the second Stollen (periods 8 to 12) ends at the reappearance of Kundry; and the scene between Kundry and Parsifal forms the Abgesang. It is difficult to take this seriously, since the alleged Stollen are very different. In reality, the large-scale form of the second act can be more accurately described as ABC. orenz divided Parsifal (and other operas) into musico-poetic periods. His critics have said that the divisions between these periods often are arbitrary. The difficulty here is that there are very few cadential points in the score and therefore, except for the start and end of a scene, any scheme of divisions will be to some extent arbitrary. Although Lorenz claimed to have identified the underlying key of each period (shown in the column headed "home key" of the table below), the fluid tonality of Wagner's music does not often allow one key to dominate. Despite this, the Lorenzian periods provide a useful framework for analyzing the score. In the table below I have summarized the musico- poetic structure of the opera and listed Lorenz's periods (from volume 4 of das Geheimnis der Form. The page numbers given below refer to the Edition Eulenburg full score. 43 3 196 - 238 g minor das Bad! 71 Short transition - 377 - 385 nicht heilig? 92 8 499 - 558 c minor Speer! 105 Short transition - 559 - 564 die nie sich schliessen will! 166 Transition - 892 - 936 nicht. 365 4 214 - 267 b minor willst du, den du musst. 442-443 10 521 - 702 A flat major gern! 490-491 11 703 - 735 A flat major Was zankest du? 534 14 916 - 989 A major/minor Wehe! Wehe! 654 19 1486 - 1539 b minor Halt da! 694 4 200 - 279 E flat major Hei! Was? 740 8 419 - 460 a flat minor wie alle! 755 10 540 - 569 D major von dir! 759 11 570 - 602 B major grüsse! 856 19 1029 - 1061 A flat major Gral! In greatly simplified terms, the use of musical motives in Parsifal is governed and conditioned by the contrast of chromaticism and diatonicism: the chromaticism that conveys the deceptions of Klingsor's kingdom also expresses the anguish of Amfortas, while the expressive range of the diatonicism reaches from the naive simplicity of Parsifal's motive to the sublimity of the Grail themes. As categories of musical technique, chromaticism and diatonicism also have an allegorical significance: the very fact that two motives are both chromatic - an insignificant characteristic in itself, because it is so general - creates a dramatic association between them. The connection between deception and suffering, between the magic garden and Amfortas' lamentation, is as unmistakable as, in the diatonic sphere, that between the naivety of the "pure fool" and the Grail kingship that awaits Parsifal at the end of his path to recognition. The fact that Wagner based the differentiations and ramifications of the dramatic argument, which have caused so much torment to exegetes, on so simple, so obvious a contrast, which holds good for the stage action as well as for the music, is the proof of his theatrical genius. he domain of the Grail, which is physically the location of the first and last acts of the drama, is predominantly diatonic; whereas that of the magician Klingsor, which is the physical location of the second act, is predominantly chromatic. Parsifal's motivic group is at the diatonic extreme; Klingsor's motivic group is at the opposite extreme of chromaticism. The music of Amfortas and Kundry lies between these poles. n the domain of Klingsor (or when Gurnemanz refers to it) we hear, in minor keys, chromatic versions of Leitmotive that were originally diatonic and predominantly in major keys. Consider the use of the Redemption theme (motive 1A) in Parsifal's outburst after the Kiss. This kind of variation according to context is not just restricted to the melodic and rhythmic elements. This also applies to another important element: the transformation music that accompanies Parsifal's access to the Grail Castle in each of the outer acts. At the climax of the second act prelude, there is a distorted parody of the transformation music that takes the listener into Klingsor's distorted version of the Grail Castle. Like the reflections in Klingsor's mirror, all that is found in his castle is a distorted, sterile reflection of the domain of the Grail. lthough there are some triadic passages in the score, there are also passages in which diminished-seventh chords are prominent. A diminished-seventh chord is just a stack of notes separated by minor thirds. The so-called Tristan chord, which is heard for example in the second act of Parsifal at the moment of the kiss, can be regarded as a modified diminished-seventh chord; and diminished-seventh chords are the basic element of Parsifal's subsequent outburst, after the kiss, from Amfortas! Die Wunde! to Hier, hier!. Later, it is a diminished-seventh chord (B flat, D flat, E and G) that dominates the desolate music of the third act prelude. Both harmonically and melodically, Wagner's consistent use of minor thirds and tritones to some extent replaces the traditional triadic harmonies based on perfect intervals. It is clear that Wagner's essential musico-dramatic technique is not merely a matter of preparing and then evading cadences, but an almost ironic reversal of traditional cadential function. The fewer the points of diatonic cadential resolution, the greater their structural significance might appear to be. But if some of these resolutions are outside of the prevailing tonality ... they resolve nothing; they rather enhance the prevailing instability, and create an even stronger contrast with the truly structural cadences which do confirm prevailing tonal tendencies. ot only does Wagner sometimes seem to be evading cadences, but also avoiding the appearance of the implied tonic, e.g. by establishing the dominant of an unheard tonic. As for example in the first scene with Kundry, where the shifting chromatic harmonies at times suggest an underlying b minor, although the tonic chord is never heard. The emphasis on keys a tritone apart is one factor that has frustrated attempts to analyse this music with the techniques appropriate to sonatas and symphonies, including Schenkerian analysis. Listen, for example, to the change from D flat to A major at the end of Gurnemanz's narration in the first act ( durch hell erschauter Wortezeichen Male ) and the equally powerful shift from D major to A flat major on the word Gral in Parsifal's final phrase ( Enthullet den Gral, öffnet den Schrein! ) at the end of the work. n the orchestration of Parsifal, Wagner returned to the quadruple woodwind he had used in the Ring, but omitted the so-called Wagner tubas, bass trumpet and contrabass trombone. 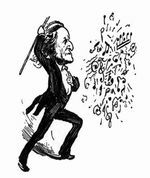 In much of his scoring of the work, Wagner returned to the blocked instrumentation of his earlier operas, rather than the integrated scoring of Tristan and Die Meistersinger, where melodic lines pass seamlessly from one instrument to another and textures are built with instruments from different divisions of the orchestra. Parsifal actually begins with this kind of orchestration, but when the motives of Holy Grail (motive 2) and Faith (motive 3) appear, they are played by different instrumental groups in turn. The block-like scoring is less evident in the more contrapuntal passages, such as the music of the Flower Maidens. As in Tristan, the horns are mostly grouped with the woodwind, rather than with the other brass instruments. Pierre Boulez has remarked, the tempi of Parsifal are unstable in dramatic passages and stable in reflective passages. Since about the middle of the 20th century, there has been an increasing tendency for conductors to emphasis the contrasts in tempi, for example taking the opening of the work (marked sehr langsam) very slowly, and the prelude to the second act (marked heftig, doch nicht übereilt) very fast. Wagner, Richard: Parsifal ‘Here time becomes space.’ The conductor Hartmut Haenchen discusses the historical tradition of conducting Parsifal. An insightful essay that is well worth reading, not least by orchestral conductors. Footnote 1: Wagner did not invent the word Leitmotiv (leading motive) and did not much like it. He preferred to speak of Hauptthema or Grundthema. By definition, a leading motive returns and when it does so, the listener and spectator is reminded (consciously or subconsciously) of the context in which it occurred before. Note that a leading motive does not always have one fixed meaning: if it occurs multiple times, in different contexts, the motive acquires a trace of meaning. See next article for more about this topic.